Matthew Grouse (b.1996) is a Glasgow-based composer who makes pieces involving acoustic instruments and voices, electronic music, video, text media and performance. His work is often concerned with human frailties and a search for the remarkable in the everyday. In 2018, Matthew was awarded the Dorico Award for Small/Medium Scale Work at the Scottish Awards for New Music for his piece 10 Seconds (mixed ensemble and 4-channel audio). Recent activities include a Cryptic International Artist Residency at Cove Park; pieces for Yaron Deutsch’s Electric Guitar Etude Project and the Chamber Sessions Project, both presented at Darmstadt in 2018; and a commission for and residency with Nevis Ensemble (Scotland’s Street Orchestra). 2018 also saw the release of Matthew’s first electroacoustic EP ‘Palettes’, on the New York based label, Not Art Records. Upcoming projects include pieces for Tom Poulson (trumpeter of Stockholm Chamber Brass); Ben Hudson (bassoonist of Psappha Ensemble); and a large-scale audiovisual collaboration with visual artist Andy Sowerby (supported by Cryptic). His music has been performed or workshopped by artists including: Royal Northern Sinfonia; Hebrides Ensemble; Red Note Ensemble; Nevis Ensemble; The Assembly Project; Ligeti Quartet; Gildas Quartet; Rolf Hind and Andrew Zolinsky (piano duo). Pieces have be showcased at festivals such as Darmstadt; The Cumnock Tryst; St Magnus International Festival; Occupy the Pianos; EviMus; Sound / Image Colloquium, and at venues such as Newcastle’s Sage Gateshead; Edinburgh’s Usher Hall; London’s St John’s, Smith Square; Orkney’s St Magnus Cathedral; and the BFI on London’s Southbank. 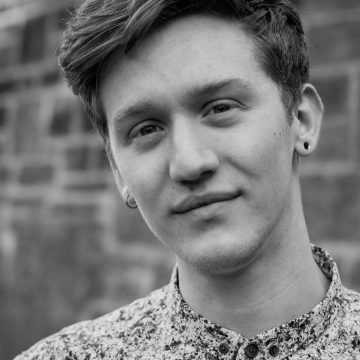 Matthew is a graduate of the Royal Conservatoire of Scotland, where he studied composition with David Fennessy and electroacoustic composition with Dr Alistair MacDonald. He co-directs Glasgow-based collective noise pocket with whom he also performs on electric guitar and live electronics. The collective seek to showcase interdisciplinary and experimental works by local artists.